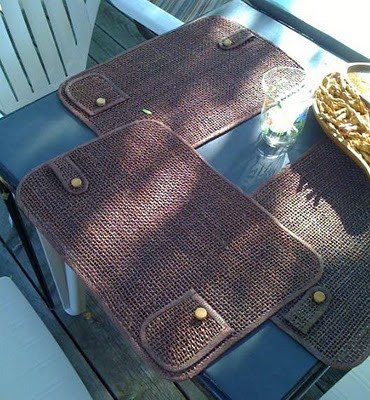 Seen last summer at a family gathering in Minnesota, these outdoor placemats have a clever little feature: pockets and straps that keep napkins and plastic cutlery in place during the occasional gust of wind. If you want to set the table early and not worry about the breeze, I'd say this is a good way to go! Where can I buy these? ?